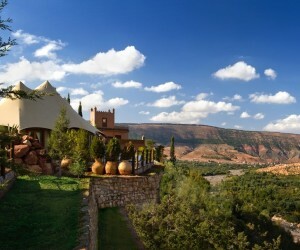 This itinerary is a 4 day/3 night spectacular tour over the Atlas Mountains and down to the desert in southern Morocco. There is quite a bit of driving (about 5 hours per day) but with loads to see and spectacular scenery it is a relaxing few days and invariably the highlight of a trip to Morocco. If you can spare more than the 3 nights it is well worth an extra night or two at any of the places on the route as they are much more than just stopovers. 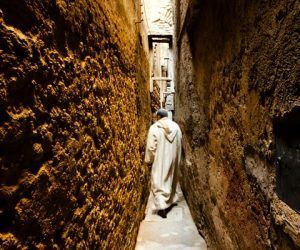 This is written as though starting and finishing in Marrakech but you can also start or finish in Fes, or even on the coast. 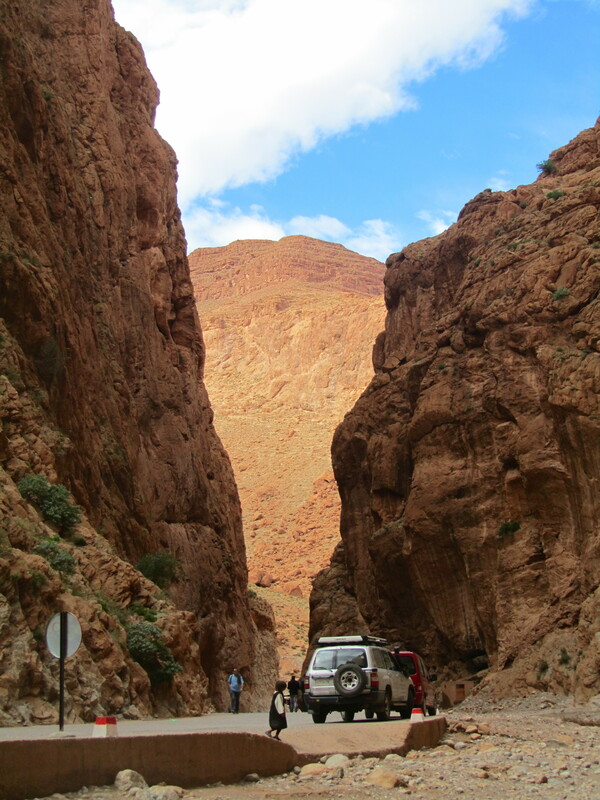 This trips starts in Marrakech and continues via the Tizin Tishka pass and Ait Ben Haddou. It then followes the road towards Skoura where you stay overnight. 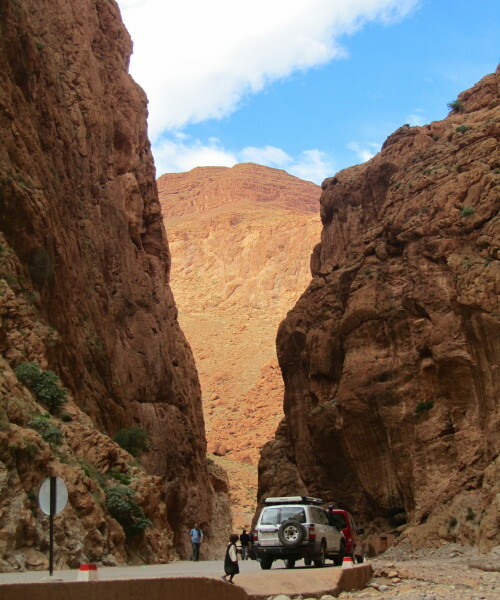 The following day you drive via the ‘Road of 1,000 Kasbahs’ to the Todra Gorge and admire Morocco’s open countryside in the Dadès Gorge. 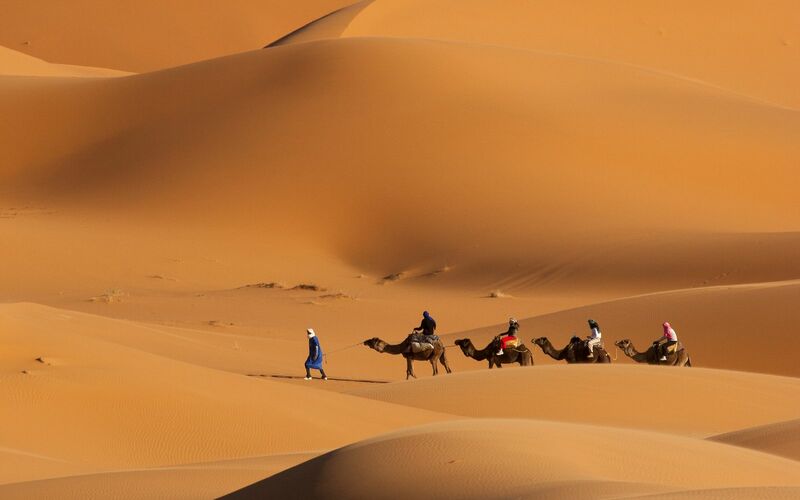 In the afternoon you reach Merzouga and the dunes of Erg Chebbi, stay in the hotel or change the way of the transport for a camel to reach the desert camp. 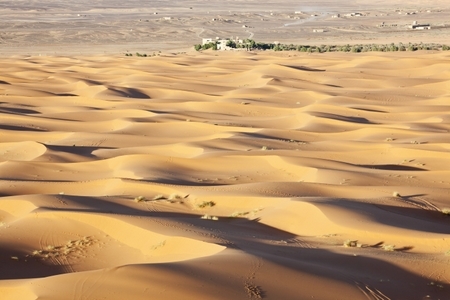 The following day you leave the desert and you go along the track of the ancient caravan route to Agdz. The last day you return back to Marrakech. Your driver will meet you at your Riad in Marrakech and then drive you over the Tizi-n-Tichka pass at more than 2200m and on to the famous world heritage site at Ait Ben Haddou. Here you can visit the Ksar (old village) and even go into the original Kasbah (fortress) and some of the homes that are still occupied. 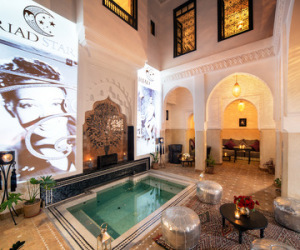 You can even stay in the area for the night and a beautiful place to stay is the Kasbah Ellouze- a converted fortress 5 minutes up the road, but assuming you have made an early start from Marrakech it is better to continue another 90 minutes or so. You go next through the French garrison town of Ouarzazate now famous for the film studios where many block-busters have been made. 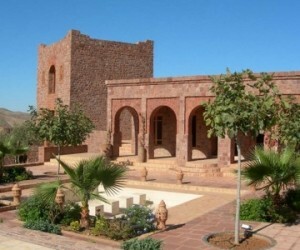 You can visit the studios or (more interestingly) the film museum and the Kasbah in the town. 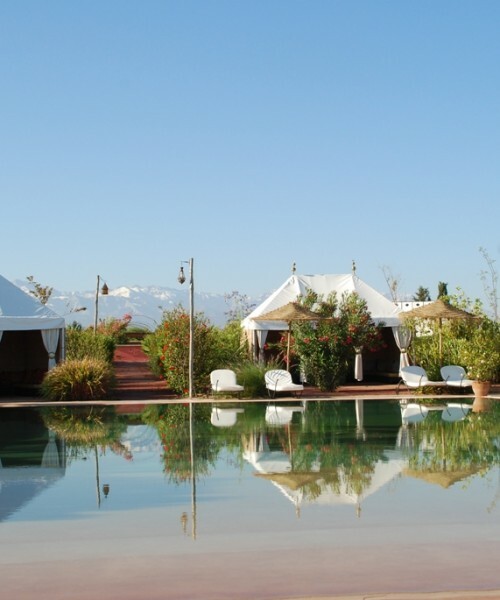 Our favourite place to stay is Les Jardins De Skoura another 40 minutes outside the town. Set in a beautiful oasis it is a lovely place and tempting to stay an extra night or two. If you are only doing one night in the desert itself, you need to be away by around 9am and that will give time for a short visit to the Todra Gorge followed by an early lunch there or a bit later en route to Merzouga. 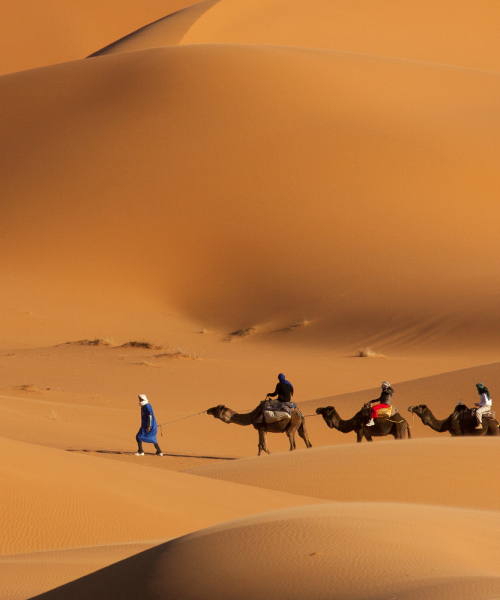 You should aim to arrive at Merzouga by around 3pm for some mint tea before heading off into the Dunes. If you stay at Yasmina then the camels that take you to the camps are on the doorstep and you may even have time for a quick swim in the pool before you set off. You arrive at your camp after an hour and have time to settle into your tent before climbing up the dunes to watch the sunset. Enjoy dinner around the fire and an early night in the silence. In the morning do rise early to see the sunrise then return to the hotel for a shower and a leisurely breakfast. This is an easy day’s travelling as long as you are away by 11am. You follow the newly paved road looping south to meet the oases of the Draa valley. There is less traffic here and you can cover the distance swiftly and the scenery is stunning both on the road and when you get to the Draa valley. There are good places to stop enroute and Ksar Jenna at M’Koub has beautiful gardens where you can have lunch. Then it is only an hour or so to Agdz, a typical desert town with 2 great places to stay, Dar Qamar or Kasbah Azul. The final day of your tour is essentially a drive back to Marrakech. It is about 4-5 hours driving and the timing is entirely up to you – a good option is a late morning start with lunch on the Tizi-n-Tichka pass, but if you didn’t have time for Ait Ben Haddou on the way out then a visit is only a small detour. 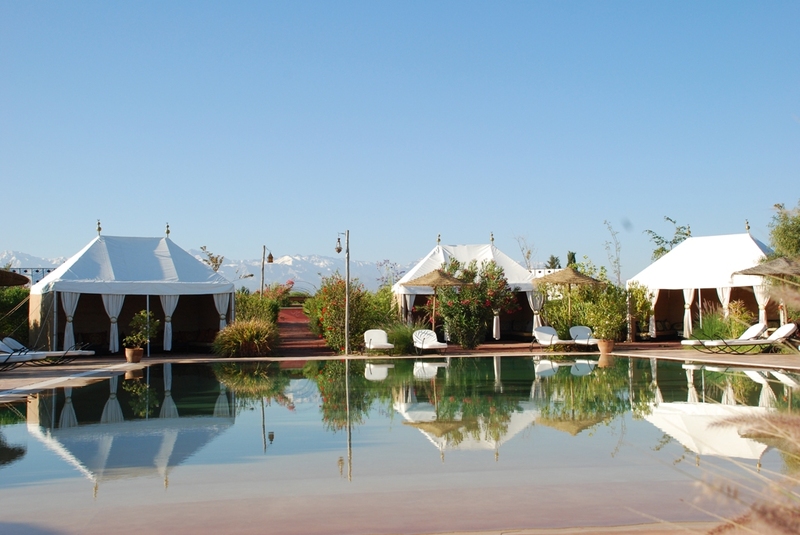 Then it is winding back down the Atlas Mountains and returning to your riad or maybe staying outside Marrakech in somewhere like Jardin d’Issil a perfect place if you are thinking of doing little for a couple of days after the travelling. Cost for the 4 days and 3 nights is £485 per person in mid season (excluding flights) It is based on 2 sharing on Half Board basis. Transport by car and camel included with driver/guide and the overall cost will be less if there are more people in the party to share the transport. Extra nights usually are around £100 per person including transport during the extra day. There is also the option to have a 4×4 for around £50 per day more.